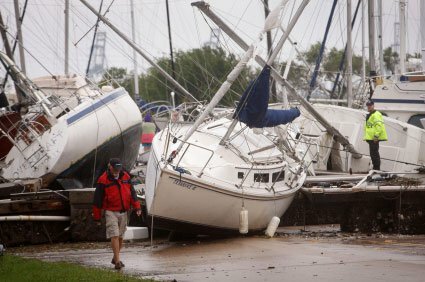 If your boat or other property covered by your policy is damaged, please take all reasonable steps to protect your property from further damage. You will be reimbursed for reasonable expenses incurred while protecting your property for all covered losses. Do not begin repairs other than those necessary to prevent further damage. Our goal at Charter Lakes is to have your marine insurance claim processed and adjusted as quickly as possible. The key to swift claim processing is for you, the vessel owner, to provide us with the information we need to get that information to the insurance companies claims adjusters. The following is a list of the items needed by our Claims Specialists to expedite the adjustment and payment of your claim. Always contact our office as soon as you are able to report your claim incident. Call (800) 879-2248 during normal business hours. To report a claim outside normal business hours, call us at (616) 890-0457. Depending on the incident and who we have placed your coverage through, you may also be asked to complete a Masters Protest claim reporting form providing the details of the claim you are making. Click here for the Master’s Protest form. Photos of the damage – BEFORE repairs begin and BEFORE damaged items are removed from your boat. Itemized repair estimate – Please call us at your earliest convenience as we may need to assign a surveyor to inspect the damage. Incident Report from Police Department, Sheriff’s Department, US Coast Guard or other Authority. If the damaged/missing parts/items have been replaced recently, please enclose copies of the receipts for proper adjustment. Forward all requested information to our office by email at charterlakesinfo@ajg.com. If you are not able to email, please fax it to 616-975-0670. Remember, the sooner we receive the information from you, the sooner we can conclude the claims process. Please contact our office at (800) 879-2248 during normal business hours, Monday-Friday 8AM-5PM EST. If our office is closed and you have an Emergency Situation that cannot wait until the next business day, call our Emergency Claims Service at (616) 890-0457.